Our New York Veterinary Compounding Pharmacy Customizes Prescriptions for Dogs, Cats, Horses, Birds, Rabbits, Ferrets, Reptiles – Even Animals in Zoos and Aquariums! Veterinary Compounding started in New York, the Hudson Valley, and Orange County – Apple Valley Pharmacy in Warwick, NY. As a pet owner, you want your pet to receive the highest quality veterinary care. You want them to have treatment as sophisticated and compassionate as you might receive yourself. Apple Valley Pharmacy couldn’t agree more. That’s why we offer veterinary compounding services! Medicating animals can present problems. They may refuse to swallow pills and may eat right around one disguised in food. Dosages may also be tricky – a dose that works for an 80-pound Golden Retriever is too much for a 6-pound Yorkie to handle. Large and exotic pets pose their own unique medication challenges. Our compounding pharmacists are equipped to handle them all! Compounding is a great way to get your pet to take its medicine. We work closely with your veterinarian to prepare medications in easy-to-give flavored dosage forms that animals happily devour. Just like their owners, animals are individual and unique. They come in different shapes and sizes and may be sensitive to ingredients like lactose. As a result, not all commercially available medicines are appropriate for every pet. Veterinary compounding can be the solution. 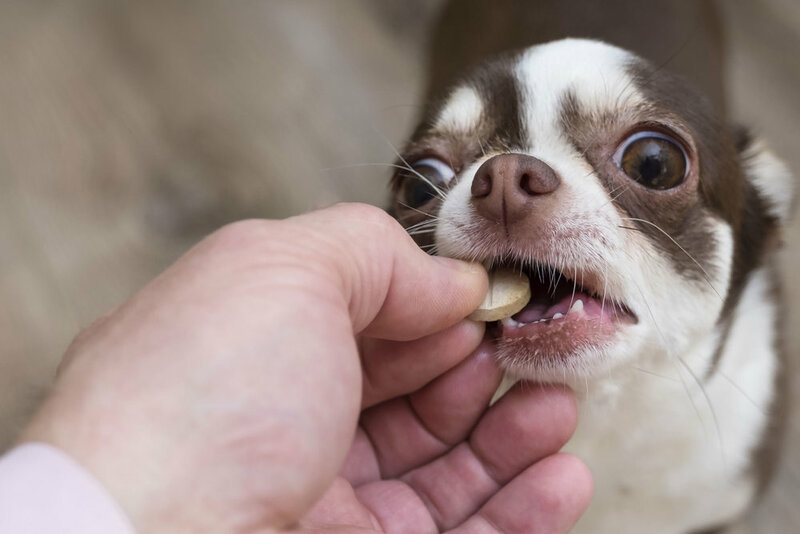 Your veterinarian can prescribe a flavored liquid, treat, or other dosage form with the amount of medication that is exactly right for your pet’s size and condition. From time to time, a manufacturer may discontinue a veterinary medication. If this is the case with your pet, our compounding pharmacy can prepare a prescription for the discontinued product; tailoring the strength, dosage form, and flavor to your pet’s specific needs. Our trained and experienced compounding pharmacist, AnnMarie Slagle Graziadio, is a member of the Professional Compounding Centers of America. She is on top of the most current and cutting edge trends-so that we can offer the latest veterinary compounding services. If you have questions about the compounded prescription you have for your pet call us today and we will be happy to help you.